1. Let’s start at the beginning- you were drafted by the Cleveland Indians but opted to go to Arizona St. instead. What prompted this decision? I had a great high school senior season; but I only had three college scholarship offers – ASU, USC, and UCLA. UCLA didn’t have a very good program, but I really enjoyed meeting assistant coach Glen Mickens (who is now retired in Hawaii keeping baseball score books). I almost signed with USC, but I had sent a letter to Bobby Winkles (later the A’s manager in 77), who had assistant coach Fred Nelson do some research on me, and they offered me a full ride. I had read the Sports Illustrated article in 1967 about the ASU national championship and knew that’s where I wanted to go. The Dodgers had called and spoke with my mom the week before the draft and told her if I’m still available by their first pick (20th) they’ll take me; but their Florida scout convinced them to pick Rick Rhoden. Before the draft the sports editor of our school paper asked me who I’d like to be drafted by, and my reply was, “Anyone but the Braves and Indians.” Both were terrible at the time. The day of the draft I was in chemistry class when I good friend peeked through the door window signaling two fingers for the second round and mimicking four fingers over her mouth, the Woo-Woo. My heart sank – a double-whammy of not being in the first round, and by Cleveland. When their scout called to want to meet with me I told him don’t bother, I was going to college. But he came to visit and they offered me $20,000. and $8,000. for college; a joke. My third/last season at ASU my foot got cut very badly and I didn’t have my high velocity, so the Rangers picked me in the 16th round (I think 356). But Harley Anderson, their scout, had watched me for five years and knew I would get better. I signed for $15,000. plus $7,500. incentive. My foot healed, I pitched great at AA Pittsfield and got it all a year later. 2. You made your ML debut with the Texas Rangers in 1975… with the first batter faced being future HOFer Rod Carew. Can you take us through the gamut of emotions you must have been feeling? I remember it very vividly; opening night at home, 28,000 at Arlington Stadium; my dad flew in from L.A. (it was near his birthday). We were losing 7-1 with one out and a runner on first in the seventh. Naturally I was quite nervous. I went into my stretch position and my left knee wouldn’t stop shaking (I thought sure I’d get a balk call). First pitch, perfect curve right on the corner, but the ump (Bill Haller) calls it a ball. Second pitch, exact same thing… right on the corner, ball two. I’m thinking this is a tough league and if they’re not going to call those pitches strikes than I’ve got no chance. The standard nickname for a curve was “Uncle Charlie” (I don’t know why). Mine was so good that Dave Nelson called mine “Lord Charles”. And Earl Weaver told me at a formal spring event in 81 that Steve Stone, and Blyleven and I had the 3 best in the AL. I would have added Tanana’s curve. Bert’s was the best I ever saw… it would break twice! Tanana made the best transition I ever saw. Throwing across his body so much, it was clear to me his arm would blow out sooner than later, but when it did he learned the discipline to keep it low and change speeds quite well – I wish I was that smart. Anyhow, I throw a fastball inside at the belt and Carew grounds to second for a force-out. Two out, Lyman Bostock is at the plate. I throw the same three pitches – two great curves on the corner that were called balls, and a fastball at the hands for a grounder to second. Inning over, and I get a loud standing ovation as I’m trotting off the field. P.S. – Carew was 3-for-22 and ended up not playing against me. ….And did you have much of a relationship with manager Billy Martin? Managers don’t usually have close relationships with players – it’s tough to fire/trade/release friends. Billy was a genius on the field and a maniac off. I recall a few times coming to the clubhouse early and he’d be on the training table with 3 or 4 ice packs on him. Standard Napoleon complex with some momma’s boy/Italian tough guy blended in. 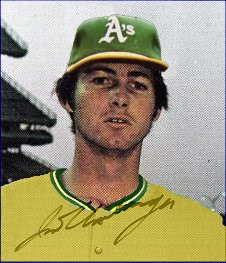 But Billy was not afraid of using rookies – Sundberg and Hargrove were prime examples. Our first spring games of 75 we flew to Mexico City to play their two best teams. Opening night I relieved to start the 5th or 6th inning and struck out the first four batters I faced and got the next two out. I had a great spring – 16 innings, 16 K’s, 4 walks. A left-hander with control??? Uh oh, look out. 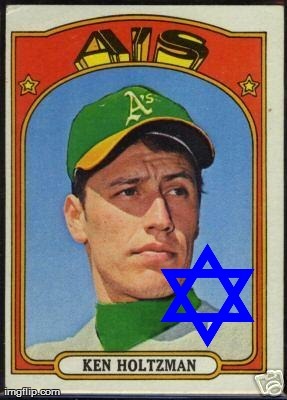 But Ken Holtzman made it look the easiest – 5 or 6 curves, 70-80 tailing fastballs away – the ultimate “pitch to centerfield”. Doubt he ever broke a sweat. Too bad he retired early because of too much travel. Speaking of sweat… one night game in august 76 in Arlington, I lost 14 pounds in two hours, changed my undershirt three times. Right after the season ended, I took a hot date to an all-you-eat high-class steak place in Dallas and ate salad, bread, baked potato, and 6+ t-bones. I only stopped because it was getting late. But the worst manager I played for was Billy Hunter in 78. My 77 season was awful, but I worked hard that winter lifting weights and drinking protein shakes and came to camp ready to impress. Corbett noticed and he and Hunter made a $100. bet – Corbett that I would make the team, and Hunter (the manager who makes that decision) that I wouldn’t! Opening game at Ft. Lauderdale against the Yankees, I was clocked at 93, and I blew away their starting lineup (Reggie, Rivers, Munson, White, Piniella) for three innings. I continued to have a great spring, and made the team. 3. 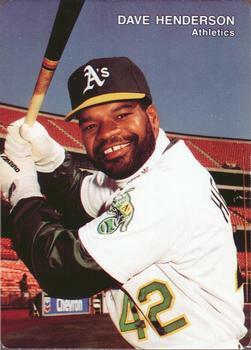 You were traded to Oakland prior to the 1977 season…did you have any contact with Charlie Finley during this time? What was your experience like in an Athletics uniform and how did you feel when they sent you to the minors that very same season…was it due to battling injuries? Before I answer I want to state that it was clear to see there were many young talented guys – Mitchell Paige, Wayne Gross, Rob Picciolo, Rick Langford, Mike Norris, Bob Lacey. 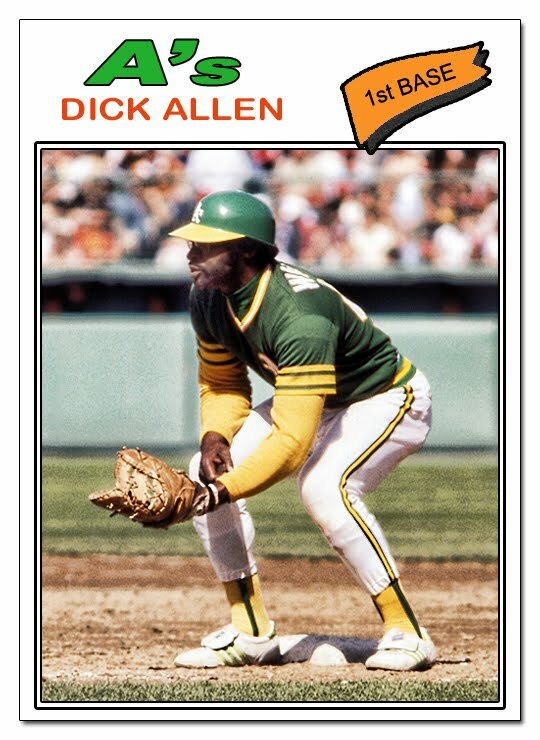 One of the coolest experiences I ever had was with Richie Allen one Sunday morning sitting in the dugout – he was in a 3-piece suit and talking about his mom. I always remembered him from a quote in the late 60’s, that he loved playing, he just wished the stadium seats were empty. I had strained my elbow tendon at Royals Stadium in May of 76, and it wasn’t fully healed. And unknowingly I had a serious case of depression. Charlie traded for me because I pitched a great game (losing 1-0 in 11 innings) one night in June 76 in Chicago on local TV. Spring of 77 I was not at my best and there were “trade winds” in the air. I had not signed my contract yet and AL Pres. Lee McPhail came to Pompano to speak with me for some odd reason. Understand that free agency was created in July 76 (I was at the meeting in Philly), I signed that spring for four years and a lot of money, and I invented the bonus money for being traded clause, and two months later received $25,000. Turns out, I was a rent-a-player, Charlie and Brad Corbett had pre-arranged that the Rangers would get me back after the season. I had some discussion with the players association as to whether I should get another 25k for being sold back to Texas, and contractually I probably could have won, but I didn’t want to rock the boat, so we didn’t proceed in that direction. It’s a great game, it’s a tough business. 4. You were involved in the longest professional baseball game (33 innings) in which you pitched 10 scoreless. Can you take the readers through the madness a bit and explain the emotional ups and downs you must have had over those 2 days? Craziest night ever – full moon, cold wind blowing in from left, scheduled to start at 7:30 but a problem with the lights delays until 8:00. The mound was chewed up, so I pitched all 10 innings out of a stretch, and I had great stuff. I’m nocturnal, so coming into the game at 2am was right up my alley. Two hours and eight minutes later, ten more innings passed and the umps finally said let’s suspend the game (we had a 1pm game 9 hours later). Dave Huppert caught the first 31 innings! (go try squatting for almost eight hours!) In 2006 the Pawtucket club held a 25 year reunion – with limos, nice hotel, big luncheon (with a PowerPoint showing pictures and music from 1981), and a game where they introduced us on the field by positions. 5. Finally… what was life like for Jim Umbarger after baseball? Aren’t you a bit of a golf nut? Yes, very much so; though the appropriate term may be fanatic or addict. I’ve played in over 400 charity celebrity tourneys (the best were hosted by Frank Quilici in Minneapolis). Next year will be our 30th annual tourney here in Phoenix that Lou Klimchock and I initiated way back when. I was fortunate enough to eventually get real with myself and achieved the steps to becoming a full-time teaching professional. And in 2009-10 I wrote a 280-page book about some of the horrible golf instruction that is prevalent. In 2013 I wrote a 150-page autobiography (just for my own amusement). In case any of the readers have ever wondered why so many pitchers are drawn to playing golf, here’s my take. Baseball is great, pitching is great. But pitchers are frustrated from depending on the defense and offense and umpires and managers to determine their fate. Golf is a game of personal responsibility, each shot and each score is up to the individual, which pitchers enjoy. In 2014 I watched a lot of The Late Late Show with Craig Ferguson (and Geoff).This next take is from him and doesn’t apply to the readers who have made it this far, but in case they have any friends who have a short attention span, here’s some recommended readings… Of Mouse and Man, Five Shades of Grey, A Tale of One City, and my personal favorite – The Grape of Wrath. Former MLB guys on the Arizona alumni committee who put some effort into our annual golf tourney – Ethan Blackaby, Cisco Carlos, Jack Heidemann, aforementioned Lou Klimchock, Leon Brown, Kevin Kobel, Ken Rudolph, Bart Zeller. 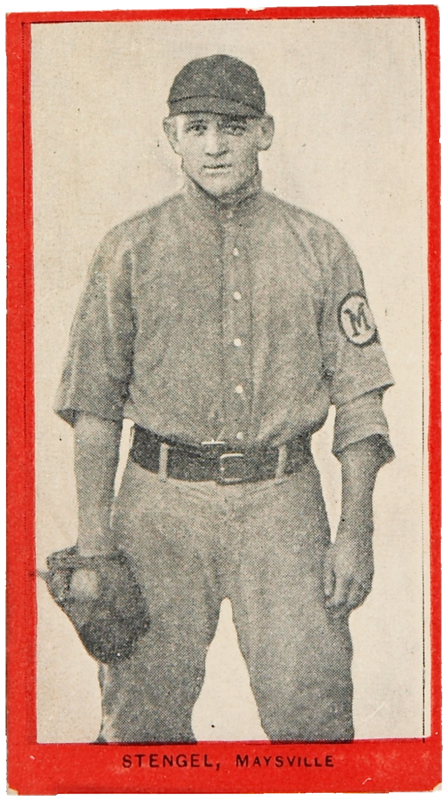 Casey Stengel, “The Ol’ Perfessor” in 1910. Nowadays, retired and having turned 62, my life is all about Maggie, my 16+ yo Australian herder collie, the smartest, most sensible, loving, quickest, best being I have ever known. I play some celeb tourneys, watch a ton of true life crime shows, and yell at the stupid politicians. To keep my mind sharp I solve expert level Sudoku.